The Rolling Stones have released a teaser clip for their new video for ‘Ride ‘Em On Down’, starring actor Kristen Stewart. The track is lifted from the Stones’ upcoming album of blues covers, ‘Blue & Lonesome’, out tomorrow (December 2). 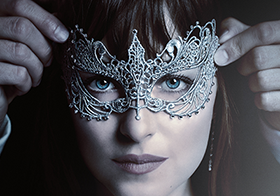 The full video, first teaser, and also productions stills and screencaps can be found below. Festival-Cannes.fr : The 69th Festival International du Film de Cannes will launch with a screening of Woody Allen’s new film,Café Society, on Wednesday 11 May in the Palais des Festivals’s Grand Théâtre Lumière as an Official Selection Out of Competition title. It’s a record-breaking coup for the New York director who has already opened the Festival twice, in 2002 with Hollywood Ending, and again in 2011 with Midnight in Paris. The film tells the story of a young man who arrives in Hollywood during the 1930s hoping to work in the film industry, falls in love, and finds himself swept up in the vibrant café society that defined the spirit of the age. Café Society features two rising stars from Hollywood’s up-and-coming generation, Kristen Stewart and Jesse Eisenberg alongside a stellar cast of acclaimed actors including Blake Lively, Parker Posey and Steve Carell. Stewart climbed the Red Carpet Steps at Cannes in 2012 for On the Road by Walter Salles and then in 2014 for Olivier Assayas’s Clouds of Sils Maria, which earned her a César. Jesse Eisenberg starred in Louder than Bombs by Joachim Trier, In Competition last year. Woody Allen also joined forces with Vittorio Storaro for the film. The eminent director of photography was a member of the Feature Film jury in 1991 and is a three-time Oscar winner for Apocalypse Now by Francis Ford Coppola in 1980, Reds by Warren Beatty in 1982, and The Last Emperor by Bernardo Bertolucci in 1988. Café Society was produced by Letty Aronson (Gravier Productions), Stephen Tenenbaum and Edward Walson, as a co-production with Helen Robin (Perdido Productions). Executive producers were Ronald L. Chez, Adam B. Stern and Marc I. Stern. The film was sold by FilmNation Entertainment and distributed on French territory by Mars Films. In France, its release in cinemas is scheduled to coincide with the official opening of the Festival de Cannes on Wednesday 11 May, 2016. The opening ceremony, hosted by Laurent Lafitte, will be broadcast by Canal +. The 69th Festival International du Film de Cannes will take place between 11 and 22 May, 2016. The Competition Jury will be presided over by George Miller, and the Official Selection titles are due to be announced on 14 April. 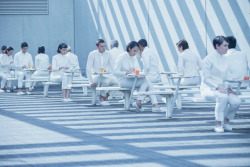 Tribeca Film Festival : Equals, directed by Drake Doremus, written by Nathan Parker. (USA) – US Premiere, Narrative. Set in a sleek and stylish future world, Drake Doremus’ sci-fi romance envisions an understated dystopia, where all human emotion is seen as a disease that must be treated and cured. Against this backdrop, coworkers Nia (Kristen Stewart) and Silas (Nicholas Hoult) begin to feel dangerous stirrings for one another. An A24 release. The Tribeca Film Festival runs from April 13th-April 24 in New York City. For ticket information please visit the festival’s official website. 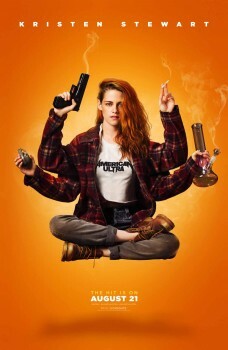 “One does not change a winning team!” Olivier Assayas directs for the second time Kristen Stewart, after ‘Sils Maria’, with which the actress earned, in February, her first major trophy, all continents combined: the César for Best Supporting Actress. In this ghost story, on the sidelines of fashion world – shot in English – Kristen Stewart plays a young American living in Paris, who earns a living as a “personal shopper” for a celebrity. Yet, her real gift lies elsewhere: in her ability to communicate with spirits, that she shared with her twin brother lost recently. Around her, Olivier Assayas gathered Sigrid Bouaziz, seen in Eden, Anders Danielsen Lie, Joachim Trier’s fave, as well as Lars Eidinger, that he has already directed in ‘Sils Maria’. The Playlist : Aside from a few dizzying highlights from the likes of Inarritu, Oppenheimer and Andersson, there was a slight sense that last year’s Venice Film Festival was a little bit of a let down, after a few cracking years in a row on the Lido. But it seems like it was nothing but a blip: perhaps because of the Oscar-winning success of the 2014 edition’s opening film “Birdman,” the full line-up announcement for the 2015 festival looks to be a strong return to form, on paper at least.